They say you gotta keep your cool space cowboy, so you don’t lose that bebop beat in your heart and slip up during a job, but dealing with dangerous individuals all day can really harsh your mellow. Everybody has their own way of approaching a suspect - the good try to subdue the target and confirm their identity, the bad usually trick someone else into doing the dirty work for them, and the vicious simply tear into the prey without a second thought. 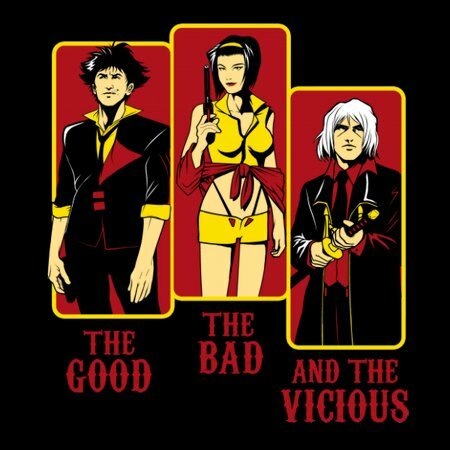 "The Good, The Bad and The Vicious": All three methods can be effective, but those who want to earn some serious woolongs in the space cowboy game are better off not being good, because the good die young and the bad live on.